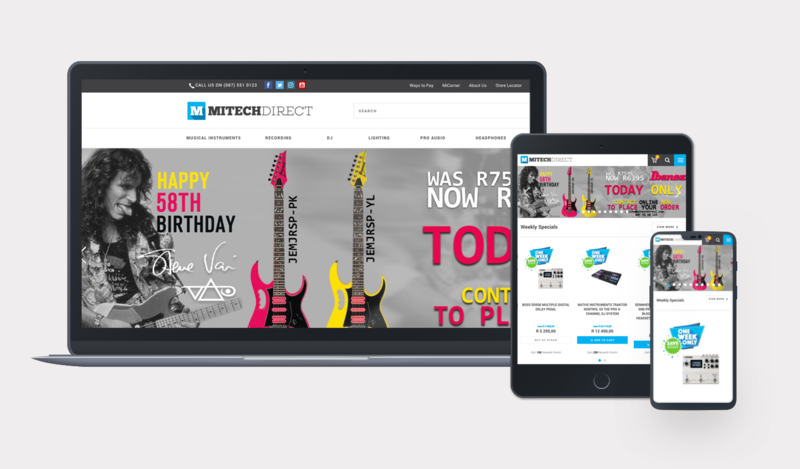 MiTech Direct is the largest music and tech retailer in Africa. They needed a leading ecommerce offering to enable users to purchase their massive product inventory online. MiTech selected one of the world’s leading enterprise commerce platforms – EpiserverCommerce – to power their online commerce experience. 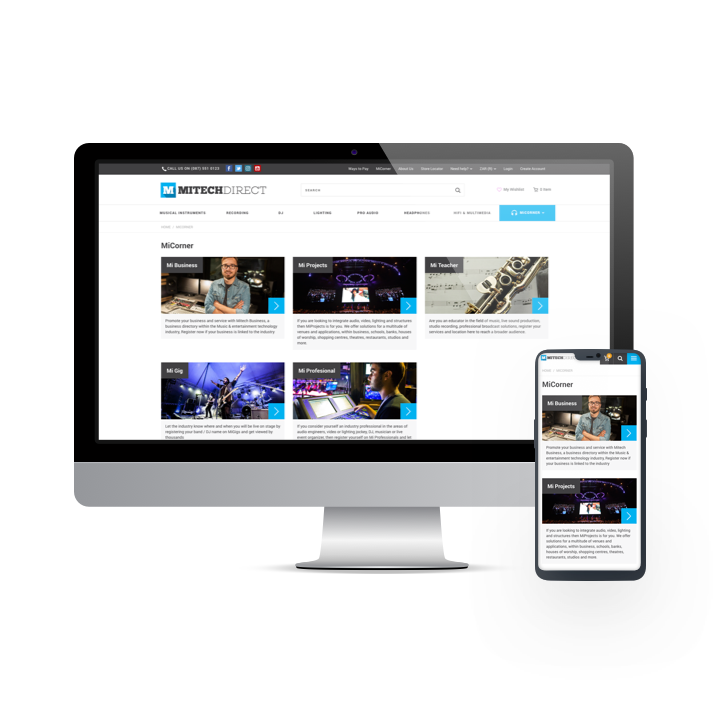 As a leading certified Episerver solution partner, Bluegrass Digital has extensive experience in delivering on Episerver solutions for local and international clients. 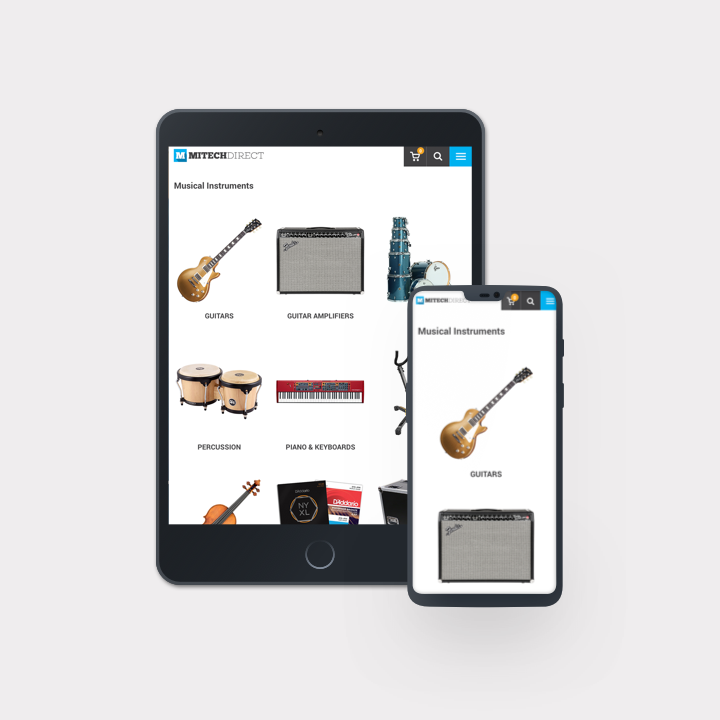 A leading online store for the music industry that is powered by a solid ecommerce platform allowing MiTech Direct to manage their content, enrich their products, create promotions, drive campaigns and personalise the user experience. As with any ecommerce offering, it is a never ending process of feature enhancement and improved to provide the customer with the best online experience.